Hearing waves crash and feeling sand between your toes, all while heat from the sun hits you is a feeling that can’t be matched. That’s why I love spending my summer on the beach! Although the beach is mostly used to relax and enjoy the beautiful landscape, it can also be used as your own personal Fitness Center! Fitness on the beach is a great way to work every muscle. It’s a great way to keep your fitness routine while on vacation. Here are a few of my tips, tricks, and benefits to staying active on your vacation and enjoying the beach in a whole new way. Use sand as a natural resistance on your body. It will help increase the intensity of your workout to get you to the next level! Sunshine will help boost your body to produce more Vitamin D.
Use a beach towel or a yoga mat for Beach Yoga. This will help strengthen your balance. Float in the ocean as your perfect cool down. It’s a refreshing way to relax and regroup. Make sure to use sunscreen as the rays of the sun can easily take their toll on your skin. Keep your workout simple. With the added resistance of sand, your body will be working harder to stabilize itself resulting in burning more calories. 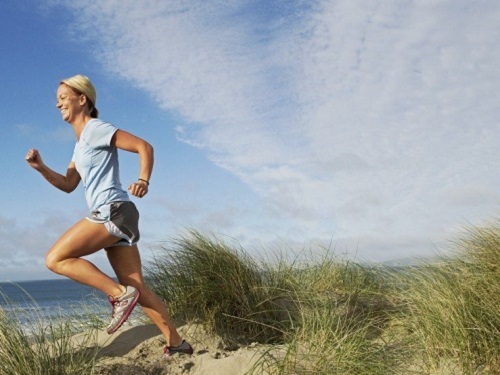 Running on soft sand places less stress on your joints. Try to distract yourself with the gorgeous view and you might be able to run further. 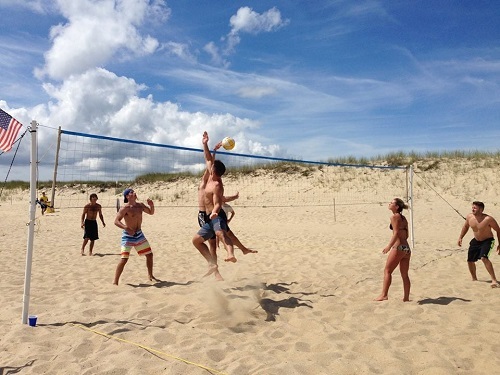 Beach Volley Ball is a great way to strengthen muscles your legs and upper body all while enjoying a fun time in the sun. Pushups, squats, planks, and lunges are all you need with the added resistance of the sand. Enjoy the experience. Just because you’re working out doesn’t mean you can’t stop for a minute to enjoy the view! 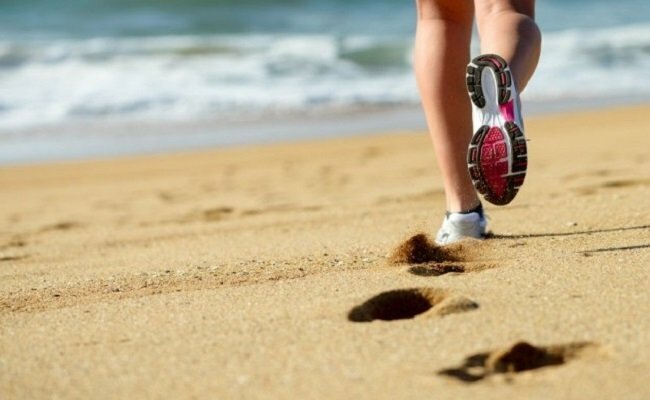 Just remember, although there are many benefits to exercising on the beach you should still take precautions to keep your body from injury. Make sure you stretch before and after a workout and don’t push yourself too hard in the hot sun. Be sure to drink a lot of water and most of all, have fun and enjoy your surroundings!